Producing portraits and history paintings with Rembrandt’s chiaroscuro effects as well as decorating a generous part of the Amsterdam Town Hall and other public buildings, the Dutch Baroque Era painter, Govert Teuniszoon Flinck, is acclaimed as one of Rembrandt’s most accomplished followers, who excelled in major historical works and elegant portraits as an independent master. Dubbed “the Apelles of Cleves” by Dutch poet Joost van den Vondel, Flinck was born on January 25, 1619, at Kleve, capital of the Duchy of Cleves. The son of a textile merchant, Flinck was first apprenticed by his father to a silk mercer, but having acquired passion for drawing and etching, was given ample opportunity to study art. He first went to study under the supervision of Lambert Jacobszoon, a preacher and painter from Leeuwarden, around 1630. As soon as he was with Lambert, Flinck would have come into contact with the Amsterdam workshop run by Hendrik Uylenburgh. From there he set foot in Rembrandt’s workshop in 1634. When Flinck entered Rembrandt’s studio, he was already considerably advanced but he went there to adapt his style to the latest fashion. Copying or adapting his teacher’s existing works was an important part of Flinck’s final training. He had to be able to master Rembrandt’s chiaroscuro effects, his use of color and his handling of surface and texture. During the relatively short time that Flinck worked with Rembrandt, he contributed to apply and expand the expert knowledge he had acquired from Rembrandt for at least five years. As a painter of biblical and allegorical subjects, Flinck at first modeled his style closely on Rembrandt’s, as, for example, in his “Issac Blessing Jacob” (1638). Later he developed a more florid and oratorical manner, in which he appears to have been influenced by Peter Paul Rubens, as in the “Allegory in Memory of Prince Frederick Henry” (1654). Flinck’s most successful works were portraits, and he was especially successful in his group portraits- e.g., “A Goldsmith and His Family” and “Celebration of the Civic Guard at the Singing of the Peace of Munster” (1648). His contacts among Amsterdam’s patrician families led to several major commissions. For Amsterdam’s new town hall, he was commissioned to paint on the theme of the Batavian revolt against the Romans. Unfortunately, he died before completing the series. 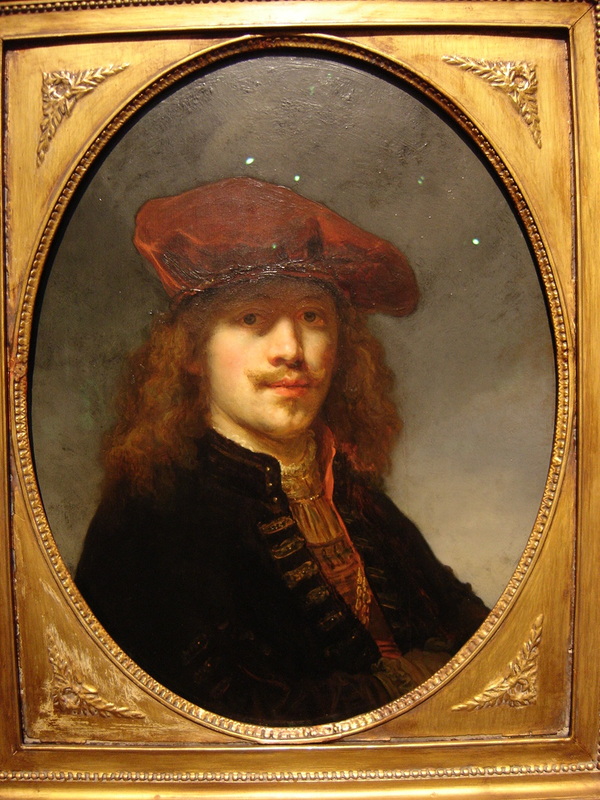 Govert Flinck died in Amsterdam on February 2, 1660.